Change your Plan - where you can upgrade your plan at any time. Enter Your Credit Card - where you can change the card associated with your account. Team Members - which shows you how many team members you have and how many seats you have available. View Inclusions - the number of views you have per month with your current plan along with the overage fee per view. Status - Whether or not your account is active or not. Next Billing Date - The date you will next be billed. 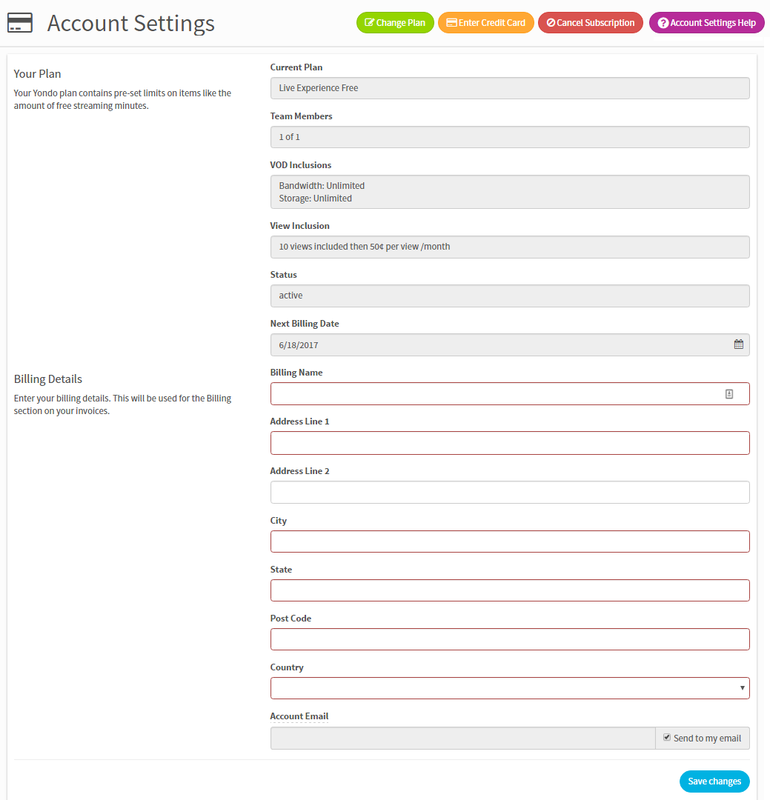 Account Email - The email that Yondo will send system emails to along with any updates on terms or conditions.